OLATHE, Kan. — It's almost time for the growth of Johnson County's population to match its court system. 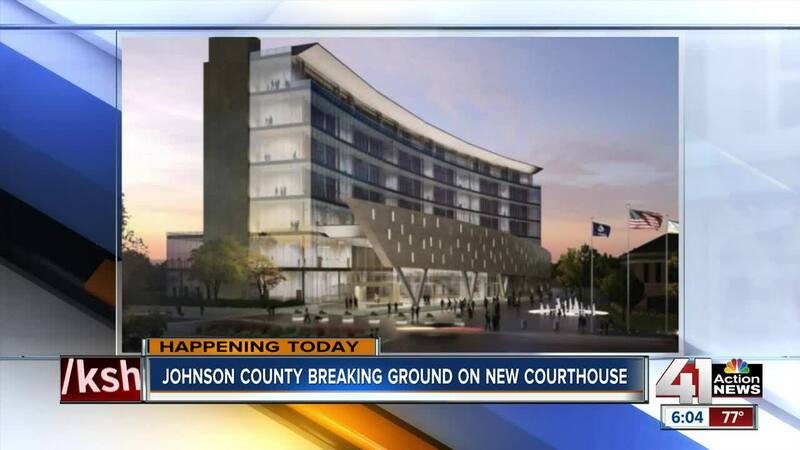 Johnson County leaders were scheduled to break ground on a new county courthouse Thursday at 8:30 a.m. 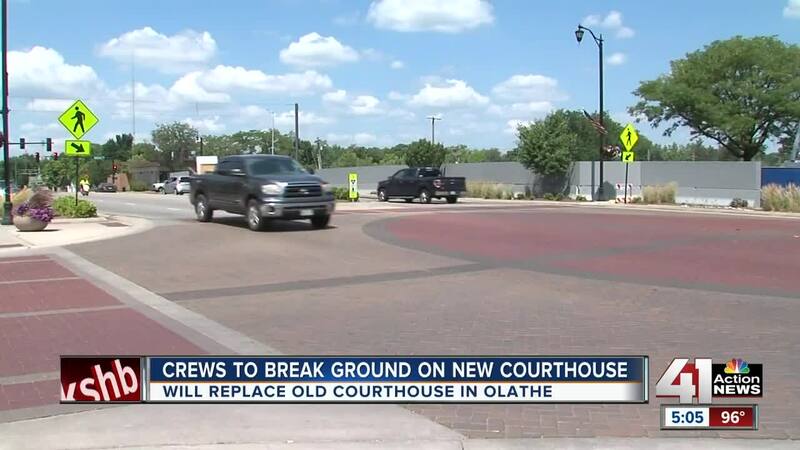 The 320,000 square-foot courthouse will reposition itself across Santa Fe Road in downtown Olathe. Olathe Assistant City Manager Joe Waters said an entrance from the courthouse will face Santa Fe and nearby Cherry St. Crossing lights for pedestrians and an island for them to stop in the middle of Santa Fe will be added. Business owners nearby said they positioned their restaurants and coffee shops near the courthouse to catch some of the 400,000 courthouse visitors each year. "It’s integral to getting downtown Olathe to where it was," said Willie Vader. Vader helped to open Dub V's Bar and Deli six years ago. He says it doesn't bother him the courthouse is moving 75 yards north, but he does hope the city builds some sort of crossing for people to get across a busy Santa Fe. Olathe representatives say that’s in the Downtown Master Plan, but it could take 20 years to accomplish. Doug Flick, the owner of Park Street Pastry, just opened up his bakery in April. "Just a nice small town feel. I’m thinking about moving down here," said Flick. Flick said attorneys frequent his bakery, but he also gets plenty of business on the weekend. He's looking forward to the new facility as it builds the Cherry Street Promenade. County and city leaders said this is all part of Envision Olathe. That plan calls for the old courthouse to be knocked down and turned into a green space or park. "They are convinced this is a positive thing for the downtown, and we are too," said Joe Waters, assistant county manager. In 2016, taxpayers in the county voted to build a new $193 million courthouse complex. There are issues with the courthouse currently in use, including overcrowding and feasibility. Offices had been converted to courtrooms and sometimes the accused walk by victims and witnesses in their very case. In 2017, at least 18 homes and two businesses also were torn down to make room for the courthouse. There will be added parking including 50 secure spots underground for judges and others. There will be a public surface lot with about 250 spots. Construction is scheduled to be complete in 2020, with judges, prosecutors, district attorneys and others moving in during the first quarter of 2021. It will open with 28 courtrooms with room to grow to 36.